The European Commission (EC) has been moving forward with a proposed action that is likely to pit the interests of European ethanol producers against those of U.S. producers. The EC action, which might lead to changes of European Union (EU) policy to be implemented in all 27 EU member states, were triggered by requests made in October 2011 by ePURE, the trade association for European ethanol producers. On October 12, 2011, ePURE requested that the EC investigate alleged unfair U.S. trade practices and their potential impact on the ethanol industry in the EU. In its press release announcing this action, ePURE stated that the U.S. had encouraged ethanol production “for the last twenty years, notably through the provision of generous subsidies benefitting ethanol producers directly or indirectly through the obligation to blend ethanol with gasoline”. In its release, ePURE specifically cited the federal excise tax credit and the federal income tax credit that were at that time available to ethanol producers. ePURE’s main concern was over the Volumetric Ethanol Excise Tax Credit (VEETC), which provided a benefit of 45 cents per gallon for gasoline blended with ethanol, which the blender could take either as a credit from the federal excise tax for gasoline or as a credit against federal income tax. In its complaint to the EC, ePURE alleged that U.S government subsidies and promotional programs had led to the saturation of the U.S. ethanol market, causing many U.S. ethanol producers to look to European and other international markets, and that the subsidies also allowed these producers to adopt “aggressive pricing practices” for ethanol in the European market. ePURE’s request to the EC triggered two different inquiries, which have often been confused in press reports of this issue. One inquiry was to investigate the impact of U.S. ethanol subsidies on the European ethanol market and on European ethanol producers (the “anti-subsidy” investigation), and the second was to look into charges that American producers were “dumping” their product in Europe at a low cost to harm European producers (the “anti-dumping” investigation). Both of these inquiries began in November 2011 and have proceeded towards resolution in the last several months of 2012 and early in 2013. The anti-subsidy inquiry was the first to reach some resolution. On August 23, 2012, the EC announced that, although it had found evidence of “countervailing subsidization and material injury” caused to the European ethanol industry, it declined to institute countervailing duties on U.S. ethanol because the main subsidy scheme leading to such alleged injury, the VEETC credit, had expired (with the consent of the U.S. ethanol industry, Congress had allowed VEETC to expire at the end of 2011, and so was no longer in effect at the time of the EC’s investigation). However, because the EC felt there was “evidence that the United States might reinstate the main subsidy scheme … in the coming months with retroactive effects,” it decided to require that imports of U.S. ethanol into the EU be registered, so that the EU could later impose retroactive duties if the U.S. subsidy were reinstated. A press release from ePURE announcing the EC decision expressed the hope that such “strict monitoring” of U.S imports might discourage the U.S. government from reinstating the VEETC credits, although from my perspective, by August 2012 there was little or no interest within the U.S. government or industry to reinstate the credit. On December 20, 2012, The EC finalized its decision not to impose countervailing duties on U.S. ethanol in the “anti-subsidy” investigation, and also decided to stop requiring registration of U.S. ethanol importers. The formal EC notice can be found here. The “anti-dumping” investigation was continuing, and also began to reach resolution in December. The European Commission announced on December 6, 2012 that, as a result of its yearlong investigation, it would propose that the EU impose what was originally reported as a 9.6% anti-dumping duty on U.S.-produced ethanol, for a five year period. Then, it was reported that a majority of EU member states voted on December 20 to impose this duty as the European Commission had proposed, subject to final approval from the Commission and the Council of the European Union (EU Council). The EC formally published its proposal on January 22, 2013, indicating that it would impose a 9.5% duty on all U.S. bioethanol imports, which would lead to a fixed charge of 62.30 euros per net tonne of bioethanol present in fuel, based on the expected blending ration of 10% ethanol in gasoline. The duty is proposed for a five-year period, which appears to be the “default” term of anti-dumping remedies imposed by the EU under its basic anti-dumping regulation. In a potentially confusing move, it appears that, under the anti-dumping proposal, the EC is once again proposing to institute registration of U.S. ethanol imports, even though such registration was halted in the termination of the anti-subsidy investigation as mentioned above. From a legal perspective, the anti-dumping proposal needs to be approved by the EU Council, which the EC has proposed should take place by February 22, 2013. The voting rules of the EU Council are a bit confusing, but it appears that a majority vote of EU members states is required to adopt this proposal. The U.S. Trade Representative’s office has objected to the proposed duty, which has also drawn criticism from U.S. ethanol trade groups, who characterized the proposal as unprecedented and legally vulnerable. In criticizing the proposal, the Renewable Fuel Association pointed out that the EC “selected six producers for investigation and none were found to be dumping; nonetheless, duties are being imposed.” Naturally, ePURE in Europe, which had initiated these EU inquiries, applauded the decision. Although perhaps inevitable that a transatlantic rift would open up on international trade issues, it is somewhat distressing to see the industry divided in this way, particularly when U.S. and European biofuel trade associations share common positions on so many other issues, particularly those related to the “food vs. fuel” debate. It is also somewhat ironic that the EU might impose a tariff on U.S. ethanol so soon after the U.S. allowed its tariff on Brazilian ethanol to expire on December 31, 2011. Lifting the Brazilian tariff has led to a substantial increase in ethanol imports to the U.S. in 2012 (although several other economic and agronomic factors likely contributed to this trend), which in the short term has been beneficial in facilitating compliance with the U.S. Renewable Fuel Standard, particularly since sugarcane ethanol is treated more favorably than corn ethanol under the RFS. It certainly seems that imported ethanol, particularly cellulosic or other non-food-derived ethanol, once it becomes available, would be useful in ensuring EU-wide compliance with the EU Renewable Energy Directive (RED). This would be particularly true if the recently-proposed revision to the RED takes effect, with its preference towards biofuels not derived from food crops. On the other hand, the European transport sector uses more diesel than gasoline (petrol), meaning that renewable ethanol will play a smaller role in meeting the requirements of the RED than will renewable diesel replacement fuels. It remains to be seen what impact the proposed EU duty will have on the European ethanol market, if the duty is ultimately imposed, and whether it serves its purpose of preventing U.S. producers from exporting ethanol to Europe. A court decision was handed down this morning regarding the challenge by the American Petroleum Institute (API) to the 2012 mandates for cellulosic fuels under the Renewable Fuel Standard (RFS). The decision is a mixed one, partially coming down on the side of EPA (and the biofuels industry) and partially on API’s side. As described in a previous post on Biofuel Policy Watch, this is one of two lawsuits that API has filed challenging the revised volume mandates that EPA has set for cellulosic fuels (the 2007 “RFS2” legislation set yearly volume mandates for each category of renewable fuel but explicitly gave EPA the authority to reduce the cellulosic volume mandates on a year-by-year basis). One lawsuit challenged the 2011 cellulosic mandate, and while a portion of that lawsuit was dismissed in December, one aspect of that suit is still pending. On December 10, 2012, a three-judge panel of the appeals court heard oral arguments on API’s second lawsuit, the one challenging the 2012 cellulosic requirements. That second lawsuit is the one that was decided today, following those oral arguments last month. The Court ruled that EPA’s methodology to determine its revision to each year’s cellulosic mandate, which involved consideration of fuel production estimates from the Energy Information Administration (EIA) along with other factors, was permissible under the law. This is a small victory for EPA and the biofuels industry. However, the court ruled that EPA’s action to deliberately set cellulosic mandates somewhat higher than EIA’s production estimates, in order to err on the side of promoting development of cellulosic fuels, was not permissible under the law. Among other reasons, the Court ruled that, although Congress stated that an overall goal of the RFS was to promote development of renewable fuels, the portion of the law specifying that EPA could adjust the cellulosic volumes was put in place not to promote the industry, but instead to correct for production shortfalls. This is a victory for API and biofuel opponents. Finally, API had also tried to argue that, when EPA decided to reduce the cellulosic volumes, it should also have reduced the volume mandates for the Advanced Biofuels category under the RFS, of which cellulosic fuels are a subset. The Court rejected this argument, saying that, while the law allowed EPA to do so, it did not require such action, and that EPA was within its rights (and was supported by the available data) to determine that other advanced biofuels (sugarcane ethanol, biomass-derived diesel) could make up the difference caused by the shortfall of cellulosic fuel. This is a victory for EPA, and to a large extent, it validates the overall approach embodied by RFS2. EPA may well decide to appeal the ruling, and there may be further court actions that could affect the outcome. If the ruling stands, I think it will have two major results. First, the 2012 cellulosic requirement will be “vacated” (i.e., eliminated), as also may be the case for the 2011 cellulosic mandate as well, and this means that obligated parties (fuel sellers and distributors) will no longer be subject to penalties that had been assessed for their failing to sell enough fuel or possess sufficient Renewable Identification Numbers (RINs) to meet their required volume obligations for those years. Second, the ruling will force EPA to be much more conservative in its future revisions to annual cellulosic fuel volume obligations, and in this regard I would note that EPA has not yet issued its decision about the 2013 cellulosic mandate – maybe it was holding off until this decision was handed down, but in any event, we can expect this year’s cellulosic volume mandate to be significantly smaller than last year’s, and to more closely correspond to actual estimates of production. It is widely expected that 2013 will be the first year to see a significant production volume of cellulosic fuels, which may enable EPA to set a realistic mandate for the year. (The EIA has projected that 9.6 million gallons of cellulosic fuels will be produced this year, substantially up from the 500,000 gallons produced in 2012 but less than the mandate under the RFS legislation of 1 billion gallons). As a final word, I’d add that one can view the third prong of the decision as validating EPA’s overall approach to the RFS, and validating that, as a whole, the law is serving the public policy goals that Congress intended when it passed RFS2 in 2007. Whether this last point creates a presumption that might protect EPA and the RFS against future legal challenges remains to be seen. I’ll continue to follow and report on developments on this and related court cases. Previous posts on my Advanced Biotechnology for Biofuels blog and on Biofuel Policy Watch have described current United States policy allowing ethanol to be blended into gasoline at up to a 15% volume ratio. A number of other countries and regions around the world have government policies which mandate or allow the use of biofuels, including ethanol, in motor vehicle fuels. The following is a summary of policies relating to ethanol in several countries and regions, including those having the largest markets for ethanol. Much of the information here has been derived from Biofuels Digest’s annual survey of international biofuels mandates and related national policies. The 2012 report can be accessed here and an earlier report, from July 2011, can be accessed here. Additional information was obtained from a report on biofuels issued in 2011 by the International Energy Agency. There are some inconsistencies between these sources and other news reports, but I believe the information presented here is accurate. I have summarized this information in a table at the end of this blog entry. Please note that this blog entry does not discuss mandates and targets for biodiesel; I may summarize those in a future Biofuel Policy Watch post, but for now, please refer to the Biofuels Digest and IEA reports for information about biodiesel policies outside the U.S. Also, the discussion below distinguishes between government “mandates”, which are legally-required minimum concentrations of ethanol in gasoline, from “targets” or “limits”, which represent the maximum allowed concentration of ethanol in gasoline. Finally, I have used the familiar abbreviations for ethanol/gasoline blends which are designated by the letter “E” followed by the allowed percentage of ethanol, such as “E15” for fuels containing 15% ethanol. Brazil has the longest-standing national program to promote the use of ethanol in motor vehicle fuel. This national program, which dates back to the 1970s, not only mandated ethanol use in automotive fuel, but also provided for the infrastructure needed to support such use, including incentives for producing ethanol-powered cars and support for upgrading of gasoline stations to accommodate ethanol use. Until recently, Brazilian law mandated that gasoline have a minimum ethanol content of 25%, but this was reduced to 18-20% in 2010 in response to economic pressures. There were repeated reports in the latter half of 2012 that Brazil intends to go back to a 25% minimum blend. In October 2012, Brazil’s Ministry of Mines and Energy announced this intention, subject to government approval. This was again reported in December 2012, with an unnamed government official stating that this would take place in May 2013 in the expectation of a record sugarcane crop in 2013. European Union. As discussed in previous posts in Advanced Biotechnology for Biofuels and in Biofuel Policy Watch, the EU maintains two complementary pieces of legislation relating to renewable fuels: the Renewable Energy Directive (RED) and the Fuel Quality Directive (FQD). Together, these directives establish targets for the adoption of renewable fuels in EU member states by 2020. Transportation fuels are one category of fuels covered by these directives, and the targeted goals cover all renewable fuels – that is, they are not limited to ethanol. The FQD is relevant to the present discussion in that it establishes a limit of 10% for ethanol blending within EU member states, which are obligated to adopt national laws in conformance with the requirements of the directive. Canada currently mandates 5% ethanol on a federal level, a policy in place since December 15, 2010. In addition, many provinces have equivalent or higher provincial mandates, including a 5 percent renewable content mandate in Ontario, 7.5 percent in Saskatchewan, and 8.5 percent in Manitoba. Australia does not appear to have a national ethanol mandate (i.e. there are no minimum ethanol levels) and ethanol content in gasoline is limited to 10%, but there are applicable laws in certain Australian states. The state of New South Wales has a 4% blending mandate, although at one point it was contemplated that this would be raised to 6%. The state of Queensland was to have adopted a 5% mandate, scheduled to take effect in 2010 or 2011, but this has been put on hold due to interest group opposition. Among other countries mentioned in the Biofuels Digest report, Argentina has an E5 mandate, Mexico has an E2 mandate in Guadalajara, which was expected to expand to Mexico City and Monterrey in 2012, Paraguay has an E24 mandate, Jamaica an E10 mandate, with several other Western Hemisphere countries also having ethanol mandates. China is reported to be moving towards a 10% biofuels mandate by 2020, India requires E5 and intends to move to E10 once sufficient domestic production capacity is in place, and the Philippines has adopted an E10 mandate. It has been reported that South Africa has recently instituted a 2% ethanol blending mandate, which has led to concern over possible food price increases. However, the 2012 Biofuels Digest summary reports that the country has a 10% ethanol mandate, although the reason for this discrepancy is not clear. The government of India has approved a mandate for 5% blending of ethanol in gasoline, but its implementation appears to be delayed due to a dispute over the pricing of sugarcane-derived ethanol (more recent coverage can be found here and here). Meanwhile, the Indian State of Maharashtra has approved the blending of ethanol in gasoline up to 10%, effective March 1, 2013, making it the only state in the country allowing blends greater than 5%. The Philippines, which currently has an E10 mandate, is expecting to achieve ethanol blending of 20% by 2020. Vietnam has an E5 mandate, but although E5 is cheaper than 92 octane gasoline, demand has been low. The low demand for ethanol has led to a huge price drop for cassava, the main domestic feedstock for ethanol. International Ethanol Policies (source: Biofuels Digest 11/22/12 and International Energy Association Report). An earlier Biofuel Policy Watch post described the recent actions taken by the U.S. EPA to approve the blending of ethanol at levels of up to 15% in the nation’s gasoline supplies (“E15” ethanol), and some of the public policy issues that have come with those actions. In this post, I’ll report on news items and other developments during the last few months of 2012 and early 2013 that are relevant to the use and market acceptance of E15 and other higher blends of ethanol such as E85. Look for subsequent updates on other developments in the weeks to come. Dismissal of anti-E15 lawsuit upheld. On January 15, 2013, full U.S. Court of Appeals for the District of Columbia Circuit ruled that it would not overturn the previous decision by a 3-judge panel of the Court that dismissed a challenge to EPA’s approval of the sale of E15 ethanol blends. As reported in an earlier post on Biofuel Policy Watch, in October 2011 a coalition of industry groups led by the Grocery Manufacturers Association, which included the American Petroleum Institute, the American Fuel and Petroleum Manufacturers, among others, filed a lawsuit against EPA, challenging EPA’s rulings allowing E15 to be sold. In August 2012, a 3-judge panel of the Appeals Court ruled in EPA’s favor and rejected this lawsuit, in a decision based on the finding that the petitioners did not have standing to bring the lawsuit (i.e., that the E15 waiver has not caused demonstrable harm to the petitioners). Six of the seven Appeals Court judges voted to deny the petitioners a rehearing, thus dismissing the suit, and the lone dissenter was the same judge who dissented in the August decision. Although this is widely viewed as a victory for the biofuels industry, this ruling still leaves the E15 decision potentially vulnerable to a future challenge by an entity that can better demonstrate that the E15 waiver has caused harm. E15 Adoption in Midwestern states. Many states have laws governing the sale, storage and use of gasoline and ethanol/gasoline blends, and some of these laws may impact the ability to sell E15. To my knowledge, as of this writing, E15 is being sold in Kansas, Nebraska, Iowa, South Dakota and possibly Illinois. A New York Times article in July 2012 reported on a gas station in Kansas that was one of the first to begin offering E15. In October 2012, a gas station in Lexington, Nebraska reportedly became the first station in that state to begin offering E15 ethanol. This station was a recipient of a blender pump grant from the Nebraska Corn Board. Linn Co-op Oil Co. has reportedly become the first retailer in the state of Iowa to sell E15, with a second Iowa retail station opened in late 2012 in Federicksburg, operated by Fredericksburg Coop. It has also been reported by the Iowa Renewable Fuels Association that Iowans have successfully driven more than 125,000 miles on E15 since it became available this fall. The Association has also said that drivers in that state could have saved $69 million in 2012 if they switched to E15. California approval for E15 seems less certain or imminent. In October 2012, the California Advanced Energy Coalition (CAEC) proposed that the California Air Resources Board (ARB) amend its fuel regulations to accommodate E15 blends. The group, a coalition of advanced biofuels developers, suggested that ARB implement an emergency update of its compliance model to include levels of ethanol up to 15%, to save consumers at the pump, since (at that time) ethanol was selling at more than a dollar per gallon below the price of gasoline. However, more recent reports suggest it might take some time before California approves E15. California ARB has reportedly responded to an inquiry from the American Motorcyclist Association (according to an Association press release), that “if ARB chooses to allow E15 as a transportation fuel [in California], it would take several years to complete the vehicle testing and rule development necessary to introduce a new transportation fuel into California’s market.” The motorcycle association is concerned that the EPA-approved model misfueling mitigation plan is not sufficient to prevent unauthorized use of E15 in motorcycle engines. However, ARB’s response was criticized by a spokesperson for the CAEC. In this more recent statement, the Coalition said that there’s no reason E15 approval in California should take so long, in view of the extensive testing performed by EPA and the fact that the Coalition has had ongoing conversations with ARB about E15 for over a year. Proposed anti-E15 legislation in Maine. A possible legislative proposal in Maine is drawing industry concern. The state’s Department of Environmental Protection is reportedly preparing to propose a bill that would ban the sale of gasoline containing more than 10% ethanol if at least two other New England states adopt a similar ban. The idea appears to have arisen within DEP, possibly in response to the November 2012 statement by the Automobile Association of America (AAA) calling for a halt to sales of E15, but according to the news report, the possible ban has the support of the Maine Energy Marketers Association. DEP has not yet finalized language for this bill, but the Renewable Fuels Association has already spoken out against the proposed ban. 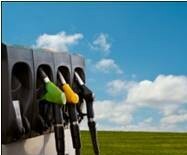 Florida Renewable Fuel Standard Act. A bill has been filed in the Florida state legislature that would repeal that state’s Renewable Fuel Standard Act and remove the requirement that ethanol be blended into all gasoline sold in Florida. A similar bill failed to be enacted in 2011. E15 Pump Restrictions. In other news attributed to the American Motorcyclist Association, it is reported that the EPA has signaled that it would abandon its requirement of a mandated 4-gallon minimum purchase from gasoline pumps capable of dispensing E15. This requirement was instituted to dilute out any residual E15 remaining in the fuel hose when the next customer purchases E10 for a vehicle not authorized to use E15. According to the Association, EPA will instead require more explicit labeling about E15 restrictions on those blender pumps that dispense both E10 and E15, and will also require stations that sell E15 to have a dedicated E10 pump for motorcycles and other vehicles not approved for E15. Automaker Stances on E15. The Iowa Renewable Fuels Association recently wrote to the heads of 12 auto manufacturers asking them to follow the trend set by Ford and GM and recommend E15 for use in their new models. State Efforts to Promote E85 Use. It has been reported that a number of states and state corn associations in the U.S. Midwest have begun programs to promote the increased use of higher ethanol blends such as E85. The states of Colorado, Illinois, Indiana, Iowa, Kansas, Michigan, Minnesota, Missouri, Nebraska, North Dakota and South Dakota all have programs to help fund the installation of fuel pumps, assist retailers to convert multiple locations, and to help cover the cost of signage highlighting ethanol options. The associations of corn growers and ethanol producers in these states are also partnering with national groups such as NASCAR to educate consumers about ethanol options. The report also stated that only 3,000 U.S. service stations presently offer E85 fuel for flex-fuel vehicles and few offer the choice of E15. In a separate development, RTC Fuels LLC has received a $1.35 million grant from the California Energy Commission to install E85 dispensing equipment at 19 existing gas stations around the state, and to gather operational data on their use. E85 Availability in Nebraska. There are reportedly now 80 flex-fuel pumps in the state of Nebraska that are capable of dispensing E85 and other ethanol blends. In my previous Biofuel Policy Watch post, I described issues and controversies surrounding the U.S. Renewable Fuel Standard (RFS). This program, which establishes annual minimum volumes of different categories of renewable fuel, has created a guaranteed market for biofuels that is largely independent of pricing and fuel costs, thus reducing the risk associated with biofuels production. I have posted a fairly detailed summary of the major provisions of the RFS, and how the biofuels industry has benefited from this law, on my Advanced Biotechnology for Biofuels blog. The controversies over the RFS have played out in the forum of public discussion, as well as Congress, the courts, and agency administrative proceedings. The previous Biofuel Policy Watch entry, Part 1 of this series, discussed issues relating to the corn ethanol mandates and fraudulent RINs. Today’s entry, Part 2 of the series, will complete the discussion. The other major public controversy over the RFS has to do with the aggressive volume mandates the law established for the “cellulosic biofuel” category. Delays in commercial development of cellulosic ethanol, unforeseen in 2007 prior to the economic downturn which began in 2008, have left the industry far short of meeting these volume mandates: in fact, prior to 2012 there were no fuels produced in the U.S. that qualified as cellulosic biofuels under the RFS. Although EPA has continually relaxed the cellulosic requirements on a year-to-year basis, the recent attacks on the RFS relate to the alleged detrimental effects on fuel blenders and sellers due to the failure to meet the cellulosic mandate. Under the Energy Independence and Security Act (EISA) of 2007 (the law that revised the Renewable Fuel Standard to create “RFS2”), very optimistic volume obligations were set for cellulosic fuels, but the law explicitly gave EPA the authority to revise these mandates on a year-by-year basis. Accordingly, the initial cellulosic biofuels mandate for 2010 was 100 million gallons, but in February 2010, EPA revised this mandate to require only 6.5 million ethanol-equivalent gallons. Similarly, the original cellulosic mandate for 2011 was 250 million gallons, but in November 2010 EPA revised this mandate downward to 6.6 million gallons; and in December 2011 the 2012 mandate was reduced from 500 million gallons to 8.65 million gallons. However, until 2012 there were no functional plants for the production of fuels that would qualify for the “cellulosic biofuel” category. In July 2012, KiOR announced that it had succeeded in obtaining EPA certification under 40 CFR Part 79 of its gasoline blendstock derived from cellulosic feedstocks, but this is an EPA action that is separate from approval under the RFS, and at this writing, KiOR’s petition to have the fuel accepted under the RFS is still pending. Also in July 2012, Blue Sugars Corporation (formerly KL Energy) announced that EPA had granted the company approval to issue cellulosic RINs for ethanol that had been produced at company’s subsidiary demonstration plant, Western Biomass Energy LLC (although that ethanol appears to have been exported to Brazil for R&D and testing purposes). In August 2012, INEOS Bio announced that it had not only achieved Part 79 approval but also registration of its cellulosic ethanol plant under 40 CFR Part 80 (the RFS regulations). Once this plant begins producing ethanol, it would be able to issue cellulosic RINs. Although it’s refreshing to see that some in the oil industry have a sense of humor, such comments and the industry’s position opposing the cellulosic mandates trivialize the significant technological and economic obstacles the cellulosic ethanol industry has had to overcome, and also overlook the significant progress that has been made. Although some biofuel opponents may be skeptical, a case can be made that 2013 will finally be the year for cellulosic fuels to break into commercial markets. In an online report, Bloomberg News predicts that production of cellulosic biofuels will rise almost 20-fold in 2013 compared to 2012. Based on data from the Energy Information Administration, the report projected that 9.6 million gallons of cellulosic fuels will be produced this year, substantially up from 2012 production but less than the RFS mandate for 2013. The Advanced Ethanol Council recently released a 35-page report profiling U.S. and Canadian cellulosic biofuels facilities and development projects, with additional information on overseas activities. The report includes profiles of companies including Abengoa Bioenergy, American Process Inc., Beta Renewables, BlueFire Renewables, Clariant, Enerkem, Fiberight, Fulcrum Bioenergy, Imbicon, Ineos Bio, Iogen, Kior, LanzaTech, Mascoma, Poet-DSM Advanced Biofuels and ZeaChem. There has also been Congressional action aimed at creating relief from the cellulosic volume mandates. For example, Representative Jeff Flake of Arizona filed H.R. 6047, the Phantom Fuel Reform Act of 2012, in June 2012, which would have required the EPA to base the yearly cellulosic requirements on “actual production” of cellulosic fuels. Earlier, Senator Tom Udall of New Mexico had introduced S. 1564, the Renewable Fuel Parity Act of 2011, which would have combined the categories of “cellulosic biofuel” and “advance biofuel” into one technology- and feedstock-neutral category of “advanced biofuel”, thereby eliminating separate cellulosic volume requirements. These bills were not acted upon in the outgoing 112th Congress. There also have been Congressional attempts to repeal the RFS. One example is H.R. 3098, the Renewable Fuel Standard Elimination Act, which was introduced by Representative Robert Goodlatte of Virginia, that would repeal the entire program. Congress did not act on this bill, but the threat of additional legislation remains. There have been reports that several Republican House members intend to revisit the RFS with hearings in the new Congress. In response to these more aggressive challenges to the law, a large coalition of advanced and traditional renewable fuel stakeholders — led by most of the major biofuels trade associations (such as BIO and RFA) and some of the leading cellulosic ethanol companies, including DuPont, Novozymes and POET — joined forces to defend the RFS. In September 2012, these groups formed a coalition called FuelsAmerica, with online platform at FuelsAmerica.org, and since then the coalition has been conducting a national campaign to support the RFS, supported by a Washington public relations firm, that would include advertising both nationally and in key state markets. Most industry observers expect 2013 to see continuing, perhaps intensified, political battles over the RFS, making the lobbying and informational efforts of this coalition more critical to preserve the benefits of the RFS for the biofuels industry. The U.S. Renewable Fuel Standard (RFS) is one of the most important government programs promoting the growth of the biofuel industry in the United States. This program, which establishes annual minimum volumes of different categories of renewable fuel, has created a guaranteed market for biofuels that is largely independent of pricing and fuel costs, thus reducing the risk associated with biofuels production. I’ve posted a fairly detailed summary of the major provisions of the RFS, and how the biofuels industry has benefited from this law, on my Advanced Biotechnology for Biofuels blog. Although the renewable fuels industry and its supporters credit the RFS with stimulating the growth of the industry and with exponentially increasing the production of renewable fuels, the RFS is (and perhaps always been) controversial. The preferences the law created for non-fossil fuels naturally placed it in opposition to entrenched economic interests of the oil and gas industry, differences which have increasingly come to the fore as the RFS mandates have grown and the difficulties in meeting the mandated volumes have increased. Specifically, the law has been criticized for setting unrealistic volume mandates for cellulosic fuels, and in response to the U.S. drought of 2012 a number of state governments, trade associations and companies called for a waiver of the volume mandates for cornstarch-derived ethanol. These controversies have played out in the forum of public discussion, as well as Congress, the courts, and agency administrative proceedings. I’ll describe these controversies in this blog entry and the one that follows. The RFS has generally seen opposition from environmental and other advocacy groups, who have been concerned that the main impact of the law has been the promotion of corn ethanol, a fuel which many environmental groups oppose on fuel vs. food issues and because of its alleged negative carbon footprint. More recently, as the 2012 U.S. drought has intensified, numerous observers have called for EPA to lower or waive the mandated volumes for corn ethanol for 2012 and 2013, out of a belief that the diversion of significant percentages of the nation’s corn crop to ethanol production will lead (or has already led) to higher food prices, exacerbated by the effect of the drought in depressing corn supplies. The “food-vs.-fuel” debate is not a new one of course, but the severity of the 2012 drought intensified the calls by many interest groups as well as some NGOs and governmental entities for changes to the RFS. Because the majority of the U.S. corn crop is used for animal feed, the anti-RFS reactions largely came from animal agriculture trade associations, as well as politicians in states where animal agriculture is a major contributor to the economy, and from environmental groups that are generally opposed to corn ethanol on sustainability or other grounds. There were also international calls for revisions to the RFS. For example, On August 9, 2012, a high-ranking United Nations official, José Graziano da Silva, the director-general of the UN’s Food and Agriculture Organization, wrote in the Financial Times newspaper that an “immediate, temporary suspension” of the U.S. RFS corn ethanol mandate could help head off another world food crisis. On September 19, 2012, Carmel Cahill, a senior counselor in the OECD’s Trade and Agriculture directorate, said the demand for biofuel is a leading factor in tighter markets for the main commodity crops, including wheat and corn, and called for the abolishment of the U.S. RFS volume mandates. This opposition became a constant drumbeat as the late summer and autumn of 2012 progressed, and included the following major activities by RFS opponents. On July 30, 2012, a coalition including the National Cattlemen’s Beef Association and National Pork Producers Council, sent a petition to the Environmental Protection Agency asking for a waiver “in whole or in substantial part” of the output requirements under the Renewable Fuels Standard for 12 months, because it is causing “severe economic harm” as corn prices surged to a record level due to the drought. On August 2, 2012, over 150 members of the House of Representatives wrote to EPA to urge the Agency to reduce the volume of renewable fuel that must be produced under the RFS, citing the rising corn prices resulting from the drought. The Congressmen based their request on a provision of the law that allows the EPA administrator to reduce the required volume of renewable fuel in any year based on “severe harm to the economy or environment of a state, a region or the United States”. On August 7, this group was joined by a bipartisan group of 26 senators. Then, beginning on August 14, a growing coalition of state governors also formally requested that EPA grant a waiver of the RFS in response to the drought. The governors of North Carolina, Arkansas, Maryland and Delaware filed such a request, which was later joined by the governors of Texas, Virginia, New Mexico, and Georgia. In response to these various petitions, EPA announced on August 20, 2012 that it would open a 30-day public comment period on the issue of whether or not to waive or reduce the corn-starch ethanol mandate under the RFS. The comment period began upon formal publication in the Federal Register on August 27, although the comment period was later extended until October 11, 2012. The ethanol industry has generally countered these accusations by noting that the 2012 mandates will be met by ethanol already distilled from last year’s corn crop, as well as use of excess RIN credits from prior years, and that 2012 corn-based ethanol production was down 10% from the previous year, as several plants have shut down or scaled back operations in view of the likely shortfalls of availability of corn feedstock. Industry representatives also stress that there is no evidence of a correlation between ethanol production and corn prices, and in fact a study from Purdue University issued in August 2012 showed that elimination of the RFS mandate would only result in minimal decreases in corn prices. On November 16, 2012, EPA announced that it had denied the petitions to waive the 2012 or 2013 volume mandates under the RFS. EPA found that the evidence did not support the findings required under the law, specifically that implementation of the RFS mandate would itself severely harm the economy, and in fact that it was highly unlikely that the RFS volume mandates would have a significant effect on corn, food or fuel prices. Although EPA’s action momentarily puts to rest the drought-based criticisms of the RFS volume mandates, this is not likely to end the debate for good. It is reasonable to expect further attention to be paid to the RFS in the new (113th) Congress. In fact, there were already bills filed in the 112th Congress that would have revised the RFS mandates in response to the drought. One such bill was S. 3428, the Renewable Fuel Standard Flexibility Act, which was introduced in July 2012 by Senator Benjamin Cardin of Maryland, but which was not acted on by the Senate. Another layer of concern over the RFS arose during 2012, upon the discovery that a small number of companies had been selling fraudulent (i.e. nonexistent) Renewable Identification Numbers (RINs), the unique identifiers attached to volumes of fuel qualifying as “renewable” under the RFS. . These companies pocketed large payments from fuel blenders and suppliers for the nonexistent RINs, who then found themselves out of compliance with the RFS, and subject to penalties, for failing to produce or purchase sufficient RINs to meet their volume obligations. The Federal Government has filed criminal charges against two companies alleged to have issued fraudulent RINs, and Cargill has filed a lawsuit against a broker of RINs from which it purchased 1.2 million RINs in 2010 which later proved to be fraudulent. There have been legislative solutions proposed to meet this problem (e.g., H.R. 6444, introduced by two Republican legislators, that would have required EPA to adopt by January 1, 2013 a system to certify RIN validity). EPA has announced that they intend to issue a proposed rule to address this issue, and in late October 2012 the agency published a summary of the elements for a Draft Quality Assurance Plan which they intend to be the centerpiece of their proposed regulation. The EPA notice contemplated that the agency would propose a rule that established standards under which third parties could set up programs for independent verification and validation of RINs. A number of entities have already begun setting up such independent third-party validation programs, and so it appears that the likeliest outcome will be a system of third-party programs operating under the standards which EPA will eventually establish in its rule-making. I’ll post Part 2 of this entry tomorrow, which will include discussion of the controversy over the cellulosic fuel volume mandates under the RFS.